Our cats can be seen at PetSmart on Greenville Blvd the 1st and 2nd week of each month. Hours are Monday - Friday 5pm - 8pm, Saturday 11am - 5pm and Sunday 12pm - 5pm. Now donating to Saving Graces 4 Felines could not be more simple! Just click on the link to donate using your PayPal account. Your donation will be greatly appreciated and will directly go to the care of rescued cats. SG4F pays no salary--we are an all volunteer organization. Our cats are kept in foster homes until adoption, so overhead costs are not an issue. You can be assured that your donation will buy food, litter, medical care and supplies that directly benefit the cats. Thank you for your generous donation--we could not do this without you ! 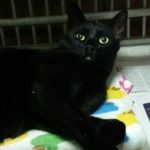 Every time you use www.goodsearch.com and designate Saving Graces 4 Felines as the organization you want to benefit, money will be raised for the cats of Saving Graces 4 Felines. The more you click, the more money raised! So click happy! And thank you from the wonderful cats of Saving Graces 4 Felines. © 2019 Saving Graces 4 Felines. All rights reserved.